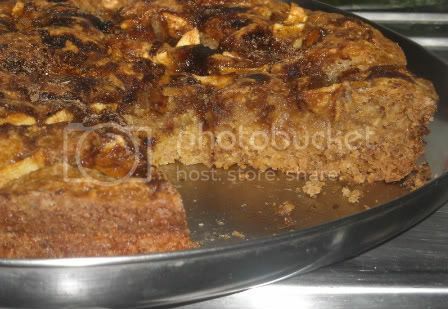 Googled for apple cake few days back and got the recipe from the sweet simple bakes,made few changes with the ingredients and the cake came out very well.The only thing i didnt like is it took much time to bake. Mix butter,vanilla essence with the dry ingredients. Add milk and apple puree to the flour. Line a baking pan and pour the batter. Lay the apple wedges on the top.Sprinkle with demerara sugar and cinnamon. Bake for 1 hour 10 minutes on 200 degress or until the skewer comes out clean. PS:-This cake took much time to bake as i usually bake my cake for 40-50 minutes,i am not able to figure it out why it took so much time.The crumble topping of cinnamon and apple with demerara sugar gave the cake a extra flavour.Half of the cake got over within an hour of removing from the microwave. Wow! Cake looks soft and moisty! The texture is really ravishing! looks so yummy..i love the cinnamon flavour in this cake.. Delicious looking cake Varunavi :) it's come out real moist, nice snaps. 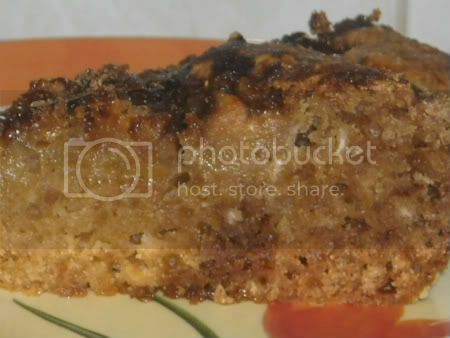 Hmm a delicious flavorful cake..so moist and yummy! 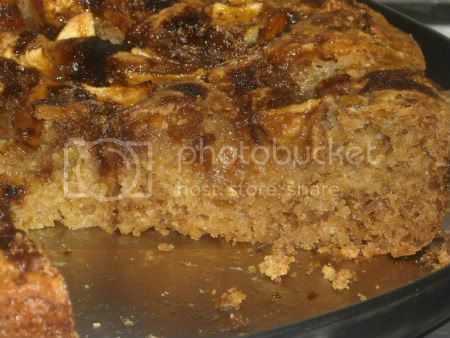 Cake with apple crumble seems looks very moist...feel like grabbing a piece from the click. hey nice n healthy cake. That's a very healthy cake recipe. Thank you very much for sending it to the event.